During development of Sonic the Hedgehog 2 for the Sega Mega Drive, a number of levels were planned which were not completed in time for the final game. Some are more (in)famous than others: Hidden Palace Zone and Wood Zone were to some degree playable and featured in the printed press, while Dust Hill Zone and Genocide City Zone are referenced in-game by several known Sonic 2 prototype builds. However, there are many more that did not make it past the design stage, or were radically overhauled by the time the game was released. Some exist only as names in developer notes, while others were partially completed before being axed. The following lists the levels that are known to have existed. 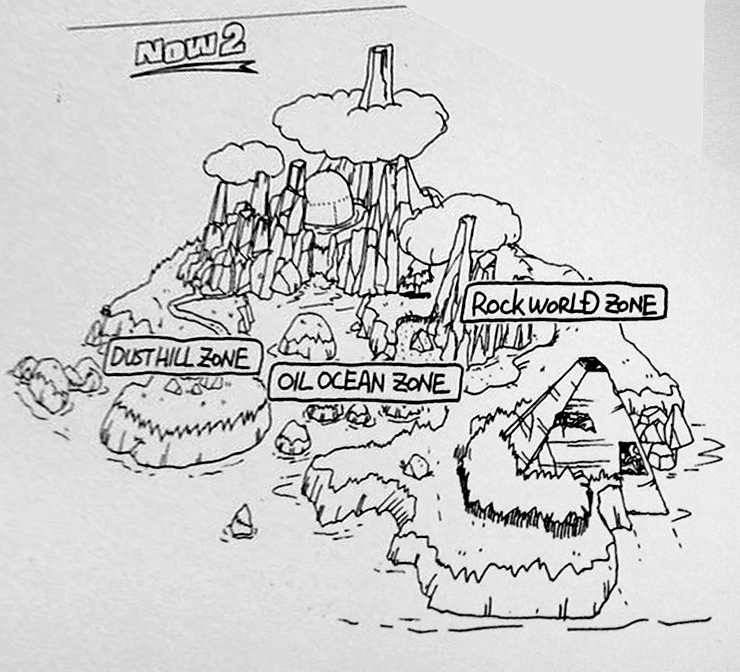 Rock World Zone, likely known internally as just "Rock Zone" is mentioned multiple times in internal documents and sketchesMedia:Sonic 2 Level Map Concept 04.pngMedia:Sonic 2 Level Map Concept 02.png, though what it contained is unclear. 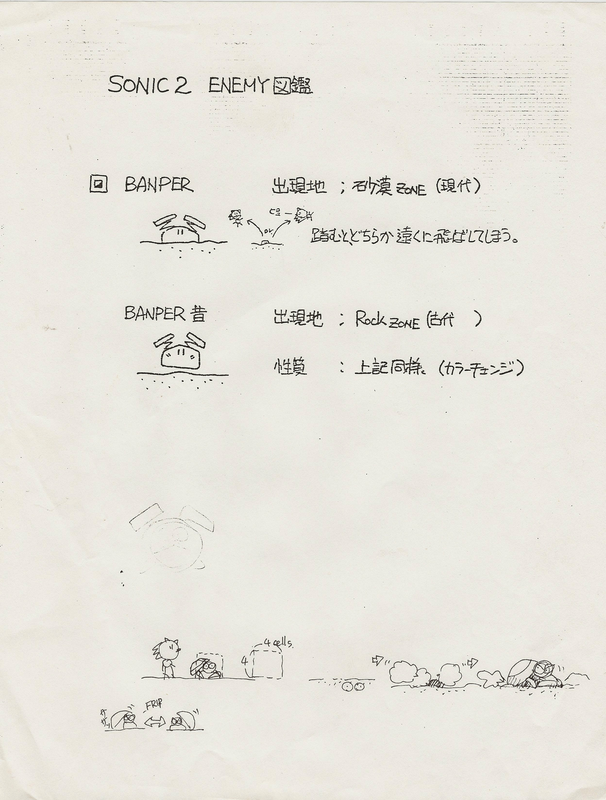 The scrapped Banper enemies were set to appear in the stageMedia:Sket_banper.png, suggesting some thought had been put into its creation before being scrapped. 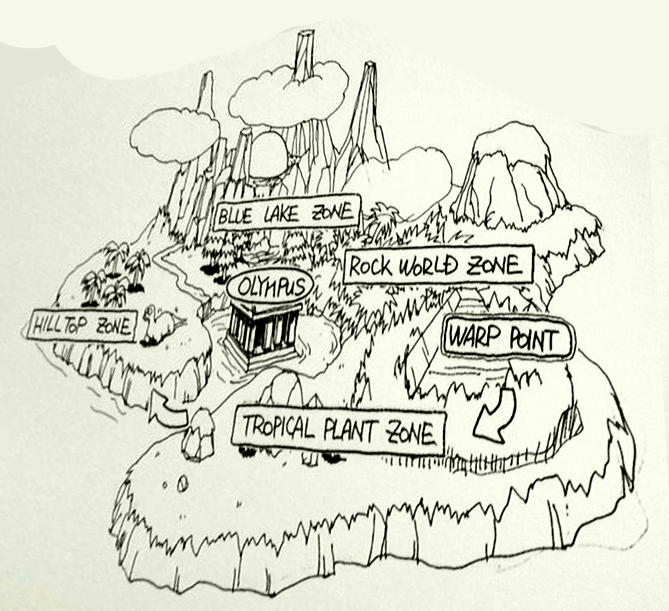 With a very generic working name it is fully possible Rock Zone became something else, such as Mystic Cave Zone or even Hidden Palace Zone, which take place in rocky environments. Winter Zone, created by Brenda Ross was to recycle graphics from her desert stage (widely thought to be Dust Hill Zone) but with a suitable winter palette. Cacti would have been replaced with Christmas trees, and the two levels placed far apart so that the recycling would be less obvious. According to art director Tim Skelly, very little else was produced for the winter theme. Although not much is confirmed or known about Olympus, the Greek theme and aquatic location on the overworld map seems to allure that it was an old version of Aquatic Ruin Zone. The Greek pillars and partially submerged landscape is one to one with that of the overworld location. No other connections or information has been found about Olympus. This page was last edited on 13 July 2018, at 11:43.